New images of Pluto have arrived from a NASA space probe, and they’re already allowing scientists to update what we know about the dwarf planet – such as its size. 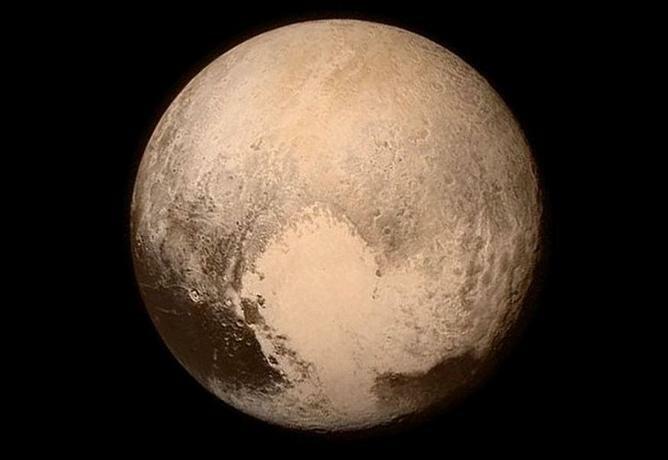 NASA’s New Horizons probe has traveled more than 3 billion miles to send photos and data about Pluto back to Earth. NASA is set to release more images and data gleaned from New Horizons’ closest approach to Pluto, which was achieved just before 8 a.m. ET Tuesday, when it was about 7,750 miles from the planet. At the time of the flyby, the craft was traveling at more than 30,000 mph. We’ll update this post with news from the space agency, which is still compiling data that were already sent back to Earth – and is awaiting new information from the flyby. It’ll take months to receive all the data.